Re: Bought £1700 Carbon Bike - Now scared to use it. I have good bikes that I use occasionally (when I don't want to do any of the things on your list) and much more durable, less fancy bikes when I am likely to give them a bit of treatment. finding a bike that you can happily use as a tool , because it isn't a theft risk or too easily damaged, but yet isn't too much of a BSO either is a tough nut to crack and everyone will find their own happy compromise in a slightly different place for sure. Having said that not many folk will find it in the bike you describe. Fitting wider tyres will help but won't make the bike less likely to get nicked or damaged in other ways. Having a really nice bike often means also having another for the rides where the surface is rough, or you want to leave the bike around. I wouldn't be bumping a carbon wonder-machine up kerbs. They are for day rides in nice weather on good surfaces. Bikes get chips and scratches. They are part of the deal. You can look at them as memories. The OP has also posted this on another forum. [quote="Littgull"]The OP has also posted this on another forum. We have a chap in our club who is always into the latest top end stuff. A few years ago when electric gears came out he was the first to indulge, on a fancy carbon frame of course. On club rides he would never go into the cafe, but stayed outside to guard it. Having said that, carbon is pretty tough. Both Mrs Jezer and I have crashed on carbon bikes with no ill effect, after all the pros give them quite a hammering. Even some cheap nasty bike i would not ride up kerbs... I would perhaps drop slowly and cautiously down a kerb. 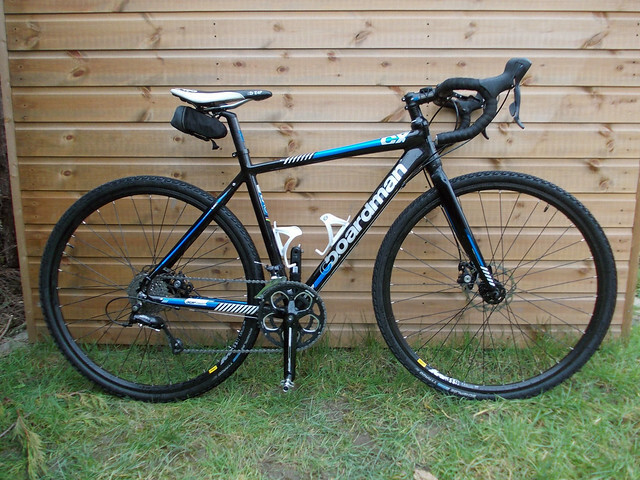 My current go to bike is a carbon road bike that gets ridden on some local cycle routes with tree roots and a bumpy section, I probably ride it as if doing some sort of off road racing but riding at a steady pace is no concern. It is locked up outside cafes... I might re-think where I lock it for anything length of time if I was in a town centre or a dubious area. What seriously troubles me is that it sounds like you have no secure place to store it at home? It would have to be somewhere secure and out of the weather when at home. Littgull wrote: The OP has also posted this on another forum. Think of it as a price per mile. £1700 is not actually that much. Use it, enjoy it. Accept that the nature of carbon bikes is to be disposable. Of course, if you really can't live with that, sell it and buy another bike. random37 wrote: Think of it as a price per mile. £1700 is not actually that much. Plenty of my friends who still MTB are riding Carbon bikes and they take plenty of abuse. No more so than any other bike.